For personal use only; all material is copyrighted. May require Adobe Reader to access. Keep a Close Watch: Analyzing a Documentary's Strengths and Weaknesses, in Documentary magazine, International Documentary Association, Spring 2016. **Also available in Romanian, on the website of Docuart, translated by Anca Yvette Gradinariu. 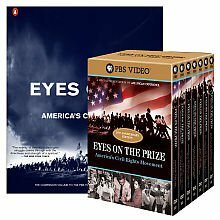 (All 14 hours of this series [season 1 (1954-1965) and season 2 (1965-1985)] are available to educators. Click here for details at the PBS website. Transcripts of the programs can be found at the PBS American Experience website. Full (unedited) interview transcripts and others materials can be found at the Hampton Archives, Washington university. February 2015 - information about working on director Ava DuVernay's Selma, produced by Cloud Eight, Harpo Films, and Plan B Entertainment.